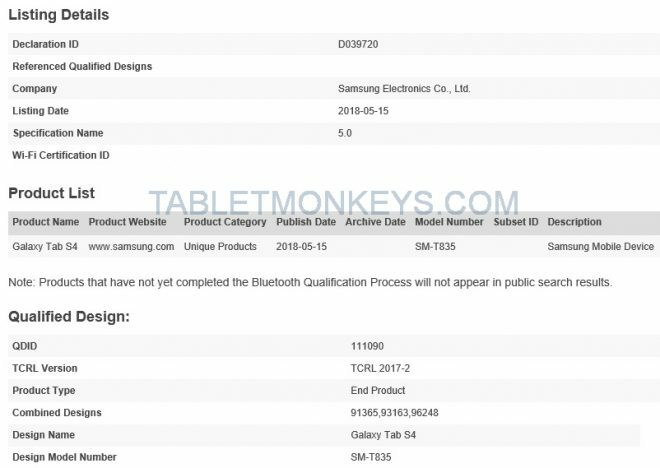 Samsung’s next flagship tablet with Android 8.0 was listed as Bluetooth certified today, as the Samsung Galaxy Tab S4 was declared certified with Bluetooth 5.0, and it even got the Samsung SM-T835 model number confirmed as belonging to the official name Samsung Galaxy Tab S4. The latest treat today comes after the Samsung Tab S4 was Wi-Fi certified on May 2 with complete Wi-Fi cover and Android 8.0. 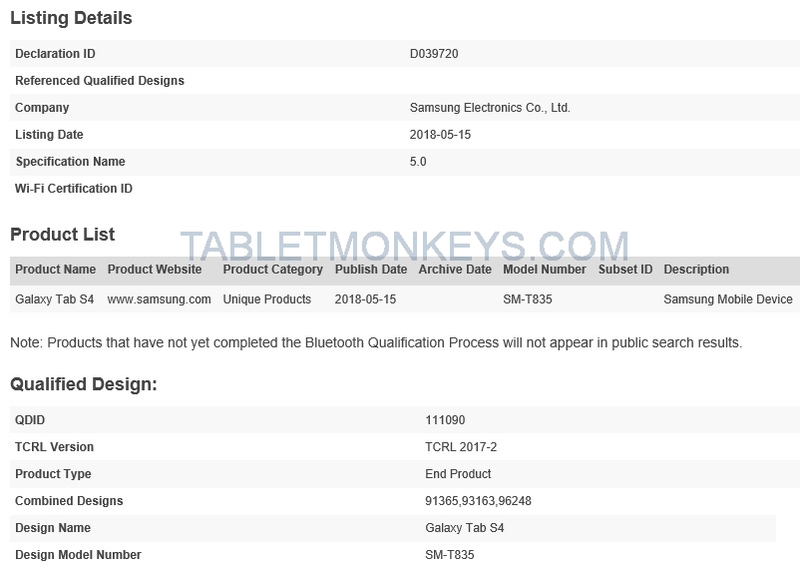 The first leak originates from February 16 when I noticed the Samsung Galaxy Tab S4 had been benchmarked on Geekbench. It was benchmarked twice with a screen size that goes back to the roots of the original Tab S with a 10.5-inch screen and 2560 x 1600 display resolution. It also appeared to be powered by a Qualcomm Snapdragon 835 processor and sport 8MP and 13MP cameras. It makes sense that Samsung goes back to a larger 10.5-inch tablet, since the last two of the largest tablets in the S-series have been 9.7-inch tablets. 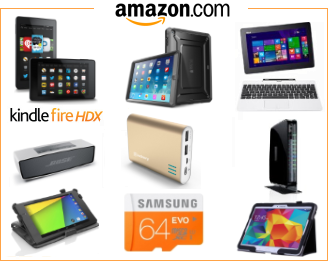 And now that both Apple and Huawei are aiming for productivity and extra features on their larger 10.5-inch and 10.8-inch tablets, Samsung has to follow the trend with its flagship Android tablet. But there is no reason why Samsung can’t sell the Tab S3 9.7 alongside the Tab S4, at a reduced MSRP after the release of the Tab S4, in line with Apple’s iPad strategy. The Android 8.0 update to the Samsung Tab S3 even rolled out yesterday, so they would both be running Android 8.0 Oreo if Samsung decided to keep manufacturing the Tab S3 for a year or two more.